The features of Citrix licensing and the vendor’s per-server license model is revealed by our virtualisation expert, and he mightily approves the strategy Citrix uses. 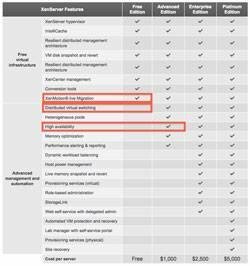 One of the things I like about the Citrix licensing model is how the company has taken a unique approach that bucks the trend you see in the wider industry approach. One of the most tedious parts of my work is asking ISVs how they license their products. Nine times out of 10, I find that their product is licensed relative to the number of CPU sockets in a server. The huge irony in this is that the CPU rarely has anything to do with how the product is used or consumed by the customer or the end user. I’ve come across disk management systems that are licensed by CPU sockets, but whenever I question why with ISVs, they tend to shrug and say: Well, everyone else does it that way. Why shouldn’t we? Citrix takes a totally different approach. The concurrency-based licensing model -- what some Citrix folks call the “floating anonymous user” model -- has been a standard since the company first introduced its early WinFrame and MetaFrame server products. Let’s make no bones about it. Citrix isn’t daft. It’s as commercially-minded as any of its competitors, and its licensing policy is there to generate revenue. But what I’ve always liked about Citrix’s licensing model is the more digestible approach it takes than some other vendors’ policies. XenApp and XenDesktop for application and desktop virtualization have always supported a concurrency model by which you pay for the number of active and connected users you have, not for your total number of seats. You might, theoretically, have 1,000 users, but only 250 of them might be active at any one time. With Citrix you would only need 250 connection licenses. Of course, this does introduce the challenge of having to guess what you think your peak load might be, and then perhaps adding a buffer for unexpected surges in activity. You could regard this as being potentially wasteful: What if you massively overestimated your peak or buffer number? Conversely, you would be in a world of pain if you underestimated your licensing requirements and found a significant number of users couldn’t connect for want of a license. I find the idea of paying for what I need and use infinitely more attractive than buying licenses I might never need, just to keep on the right side of a vendor’s arbitrary end-user licensing agreement (EULA). In fairness, it hasn’t been all clear sailing. When Citrix first introduced XenDesktop, it shipped without support of concurrency-based licensing, and that made things tricky for customers that wanted to replace their XenApp environment with XenDesktop. Citrix assumed that a virtual desktop infrastructure (VDI) would inherently fit into a one-to-one relationship where there would be one user per virtual desktop, and once that user was using it, that virtual desktop would remain assigned to him or her forever. But that view of the VDI ignored the fact that most VDI systems support both sticky and nonsticky desktop pools. With the sticky type of pool, users connect to the same desktop each time, essentially “checking out” a virtual machine (VM) from the pool in perpetuity. With the nonsticky desktop, the user checks the desktop back into the pool making it ready for another user to connect to it. Sometimes customers choose to delete and recreate these VMs, so that each time a user connects, he receives a “clean” VM. Fortunately, shortly after the release of XenDesktop, Citrix listened to its customers and changed the policy. A cynic might call this “backpedaling” or a classic “U-Turn”, but for my money, I’m happy to see an ISV realise that it made a mistake and rectify it. To be fair to Citrix, it began to realise that making exceptions to the licensing policy on a customer-by-customer upgrade basis wasn’t going to cut the mustard. In contrast, I wish VMware had listened to its customers when it generated the new Enterprise Plus SKU; the change almost universally irritated VMware’s top customers. With that said, some policy changes are easier to undo than others, and VMware backed itself into a corner when vSphere4 was released and the company was forced to back down on its policy by not decommissioning the Enterprise SKU as it originally planned to do. Finally, whilst Citrix did reintroduce concurrency licensing to the XenDesktop SKU, it’s not really pushing it to customers. Citrix is still flagging its by-user and by-device approach, making the concurrency model merely a footnote. This does not show that the vendor believes the vast majority of customers will be best served by User or Device licensing -- or in some cases a combination of both -- and that it thinks a fewer number of customers will be best served by a concurrency model. 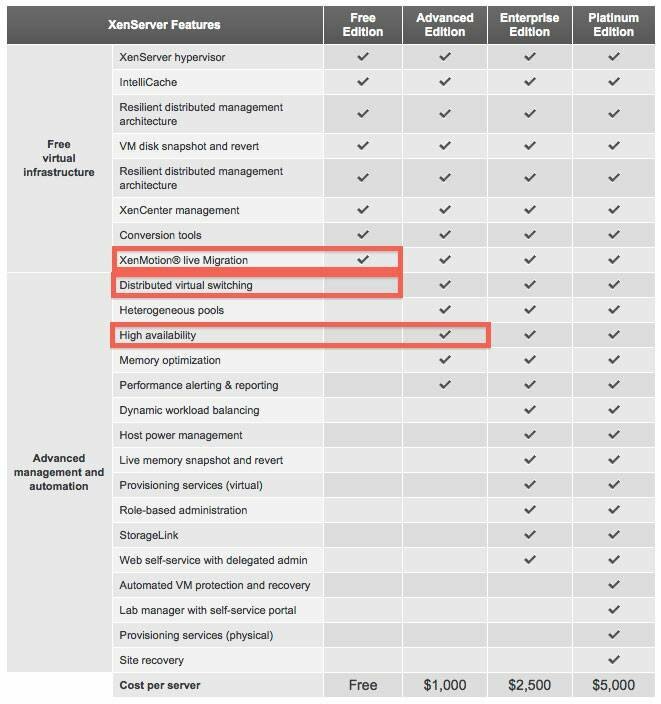 Another interesting change in the Citrix SKU was the addition of Live Migration to its free edition of XenServer and the addition of high availability and distributed virtual switching features into its advanced edition. The reality of these changes is that they come more from the vendors watching each other subtly changing their products in an effort to give them a temporary edge over the competition. Vendors always move very quickly to close any gap, of course, even if the gap isn’t a real one, but a perceived one. But it proves a point I articulated some five years ago. Back then, I was all for VMware. But at the same time I welcomed the entry of both Microsoft and Citrix into the market with open arms. Competition may not always drive down prices, but it does add value by including features that were once regarded as boutique and niche by making them something the common man can afford. To read part two of this feature click here. Mike Laverick is a professional instructor with 15 years of experience with technologies such as Novell, Windows and Citrix and has been involved with the VMware community since 2003. Laverick is a VMware forum moderator and member of the London VMware User Group Steering Committee. In addition to teaching, Laverick is the owner and author of the virtualisation website and blog RTFM Education, where he publishes free guides and utilities aimed at VMware ESX/VirtualCenter users. In 2009, Laverick received the VMware vExpert award and helped found the Irish and Scottish user groups. He has had books published on VMware Virtual Infrastructure 3, VMware vSphere 4 and VMware Site Recovery Manager.